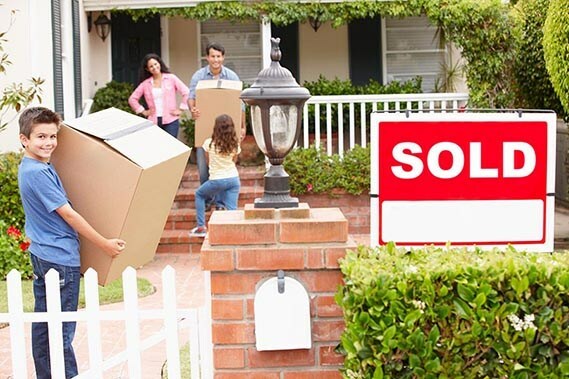 Moving into a new home can be a wonderful chance to start over with a clean slate and a brand-new beginning—even if it’s only a local move. As refreshing and exciting as change can be, however, moving can be quite complicated and difficult. The stress of relocation can easily ruin the opportunity for a fresh start, whether your new destination is miles away or just down the street. If you’re worried about your local moving project, we can help. As professional metro Chicago local movers, our award-winning team at Blackhawk Moving & Storage is your number one choice for local movers in Chicagoland. With comprehensive moving solutions, excellent customer service, and affordable prices, our expert movers are highly-trained to take the stress and worry out of your local move, so that you can focus on your fresh, new start right here in Chicago. When you choose Blackhawk Moving & Storage to help you move, you’re choosing a company with over 35 years of experience serving the local area. Our highly-qualified team of movers is made up of local Chicago-area natives, and 100% dedicated to serving our fellow members of the community as best we can. As one of greater Chicago’s top-rated moving companies in the area, we strive to exceed the expectations of our customers with friendly, helpful service, innovative moving solutions, and through long-lasting relationships with the members of our community. Our goal is to earn your trust with a high-quality, enjoyable relocation experience, and to continue serving you in the future as your preferred metro Chicago local moving company. Whether you’re interested in our full-service moving solutions or handling most of the packing yourself, we’re certain that you’ll find the services you need to match your moving goals and your budget. As an agent of United Van Lines, one of the largest and most renowned moving companies in the world, Blackhawk Moving & Storage is proud to offer our customers with exceptional quality services and extraordinary customer service. In fact, we’ve won the prestigious Customer Choice award five times in the last seven years and are proud to continually score in the top 5% of all United Van Lines agencies for quality, claims, and overall customer service. For top-rated local moving services right here in Chicago, your best choice is Blackhawk Moving & Storage. With over 35 years in the business, we know exactly what our customers need to make their moving experience a success. If you’d like to learn more about our local Chicago moving company, give us a call to speak with our friendly team of relocation specialists now. You can also request a free, in-home quote for your local move by filling out our quick online form, and someone will get back to you to schedule your visit.